Improving the biosafety of medicinal products is a priority for LFB, since its creation in 1994, both for plasma-derived medicinal products and those derived from biotechnologies. 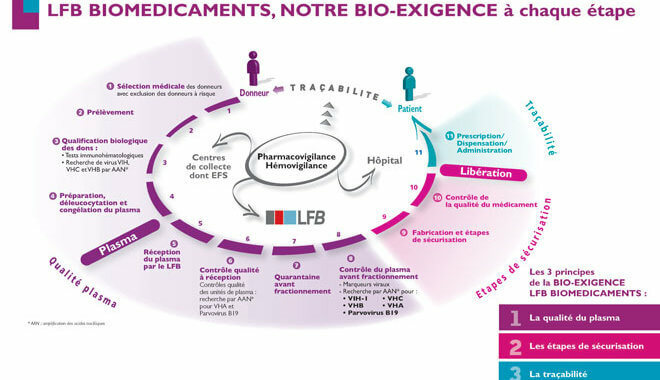 The processes used to manufacture LFB’s medicinal products have the benefit of advanced biosafety techniques. 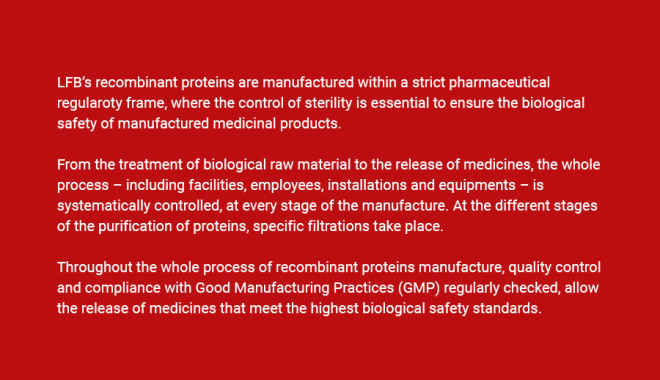 Various purification stages and dedicated elimination and inactivation steps for potentially present pathogens, such as nanofiltration, guarantee and insure biosafety of medicinal products. In the field of plasma-derived medicinal products, these biosafety stages effectively complement the safety measures applied to plasma, in particular virological control of blood donation (or plasma donation). 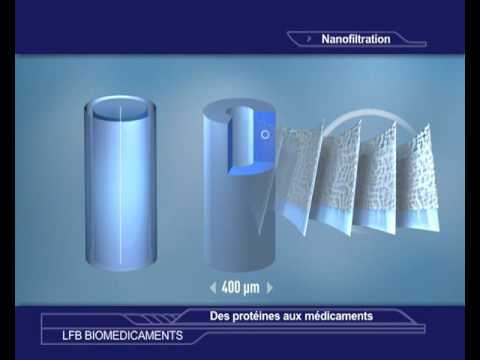 Among these techniques used in plasma fractionation, nanofiltration – a technology for removing any pathogens that might be present on the basis of size –has been used by LFB since 1995. All of these measures, together with complete traceability of blood donations and vigilance, confer plasma-derived medicines a very high level of biological safety.